It is a protocol which is used as a communication link between two devices. It is simple to establish. The most common example for Point-to-Point connection (PPP) is a computer connected by telephone line. We can connect the two devices by means of a pair of wires or using a microwave or satellite link. 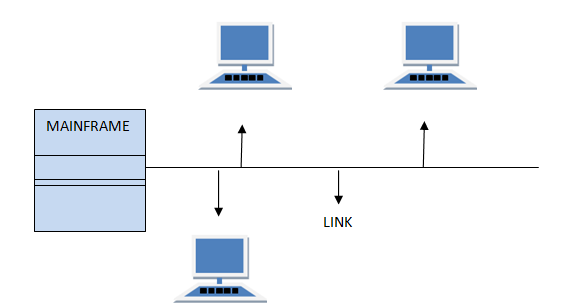 If the links are used simultaneously between many devices, then it is spatially shared line configuration. If user takes turns while using the link, then it is time shared (temporal) line configuration.